Over the past couple of years I have created a series of maps for the Sierra Club's Resilient Habitats campaign. 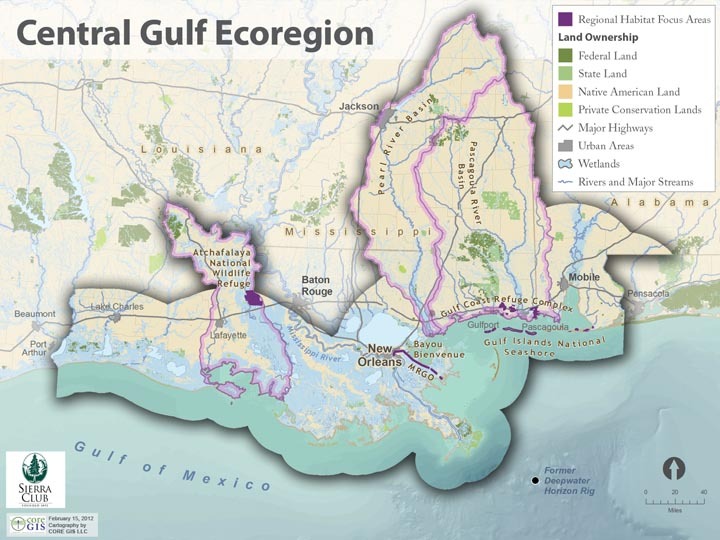 These are always fun to work on, and I particularly enjoy getting to map new geographies, such as the Gulf Coast. 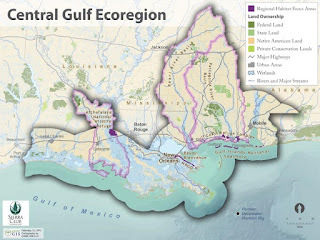 This map is formatted for use in a PowerPoint presentation, and it may be transformed into a large format version at some point.